When we say a horse “has heart,” we are referring to that extraordinary equine capability of gumption—in short, your horse’s will to try his hardest. Interestingly, equine cardiology in its literal sense is a less common subject around the barn. Let’s take a closer look at your horse’s heart. Structurally, a horse’s heart has four chambers, like all mammals—two atria and two ventricles. An average adult horse’s heart weighs roughly between seven and nine pounds. However, compare this to the whopping estimated 22 pound heart of the famous racehorse and Triple Crown winner Secretariat and you get an idea of the potential size and strength of an elite equine athlete’s cardiovascular system. In fact, some horses carry what’s known as the “x-factor,” the genetic capability on their X chromosome to produce offspring with exceptionally large hearts, such as Secretariat’s. Although you may not think a horse has much in common with a whale, he does, at least according to his heart. Horses have what are called Type B hearts, a classification based on how electrical current is conducted through the heart. Type B hearts have electrical impulse conducting fibers that penetrate deep into the heart muscle. This allows for rapid conduction, an important factor in large hearts. This is in contrast to Type A hearts, which also have these conducting fibers, but they are not present deep within the heart’s tissue. Humans, cats, and dogs have Type A hearts. An average adult horse’s heart beats approximately 40 times a minute at rest. A veterinarian can tell a lot about a horse’s heart by listening with a stethoscope. Heart rate, heart rhythm, and heart sounds (the normal lub-dub versus a murmur) can all be evaluated with a stethoscope. 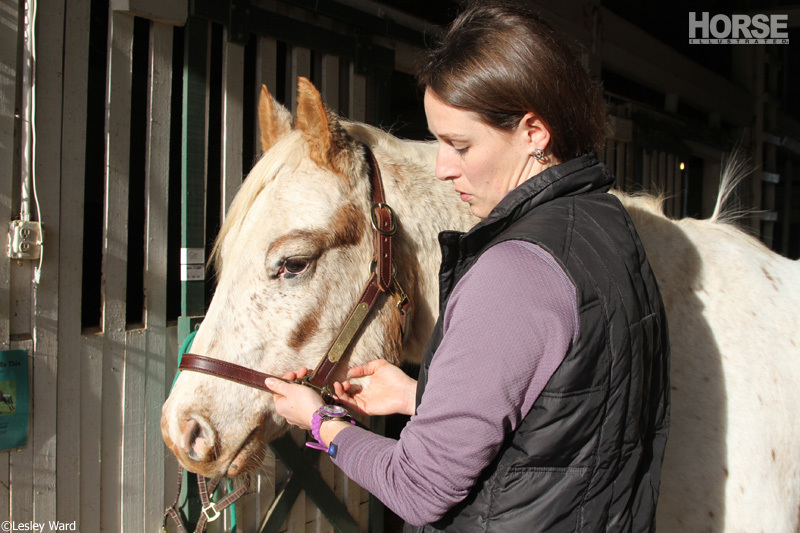 For a visual assessment of a horse’s heart, a veterinarian can use an ultrasound machine to perform echocardiography. An echocardiograph (or simply “echo”) can evaluate the size of the heart and note if there are any abnormal enlargements. An echo can also evaluate how well the heart valves are working, the thickness of the walls of the heart, and if there is abnormal fluid in or around the heart. The electrical activity of a horse’s heart can be evaluated with an ECG (electrocardiograph) machine. Like with humans, these machines print out a jagged line representing the electrical current as it moves repeatedly through the heart. Fortunately, horses do not suffer from heart attacks or hardening of the arteries like humans do. Instead, one of the most common equine heart problems is an irregular heartbeat called atrial fibrillation. This heart condition occurs when abnormal electrical impulses to the atria of the heart prevent normal contraction of the chamber, causing the heart to beat irregularly and inefficiently. Clinically, this results in a horse that may not be able to physically perform to his full potential. Often, pleasure horses with atrial fibrillation don’t have any problems and are found by accident during a physical exam. However, if the horse is experiencing decreased athletic performance because of this condition, owners will elect to treat it. Fortunately, atrial fibrillation is treatable by a veterinarian with use of an antiarrhythmic drug that corrects the abnormal rhythm. A common heart disease that affects older horses is frequently referred to as “leaky valve disease,” medically known as mitral regurgitation. The mitral valve is the valve that separates the left ventricle from the left atrium. Sometimes with age, this valve begins to degenerate, which affects its function of preventing backflow when blood is moving between chambers. A heart murmur results. In some cases, this degeneration can result in heart enlargement and fluid accumulation in the lungs. Although there is no cure for leaky valve disease, many horses live with it a long time, during which they can still be ridden. A veterinarian will usually hear a heart murmur long before there are clinical signs such as exercise intolerance and coughing. The best place to take your horse’s pulse is along the inside of his jawbone. If you have a stethoscope, listen to the heartbeat on the horse’s left side just behind his elbow along his ribcage. When you are counting heartbeats, remember not to double count. The lub-dub you hear or feel with your fingers is one beat, not two. Count for 15 seconds, and then multiply by four to calculate beats per minute. Next time you get a quiet moment with your horse, take time to listen to his heart if you have a stethoscope, or take his pulse to gain an appreciation of this impressive muscle working 24/7. Thank You Horce Channels, for such a great article. I sure like to learn more, and you are very helpful. Sorry, that should be Horse Channels. One of the best articles on here. I have a question though, if horses can’t get heart attacks why do they sometimes suddenly drop dead while performing extreme sports? that’s so cool! I knew secretariat’s heart was big but 22 POUNDS! OMG! Thanks for your question, Galadriel. Sudden deaths are seen occasionally in horses that are performing at maximum exertion, such as during races. This is due not to heart attacks, but to a rupture of one of the main arteries coming from the heart: the aorta. 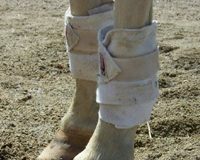 Horses can sometimes have weak spots in the walls of this artery and during an episode of intense exercise with a rapid increase in blood pressure and heart rate, the wall of the artery will tear. This causes instant catastrophic internal bleeding and almost instant death. Good information here. Thank you for providing it. When my QH was about 13 years old, he began having some health problems which we soon discovered to be metabolic. During the 7 or 8 months my vet reported that he had an irregular heartbeat. We discovered that my horse’s selenium levels were quite low – but not quite deficient. As his food was supplemented and his SE levels increased, his heart rhythm returned to “regular”. I always wondered if this is because the heart is a huge muscle and low Se and Vit E affect the large muscles. What do you think? Do you think there may be correlation there? Oh, he is 28 years old this year (2015) and he still takes me trail riding (with energy) and camping.